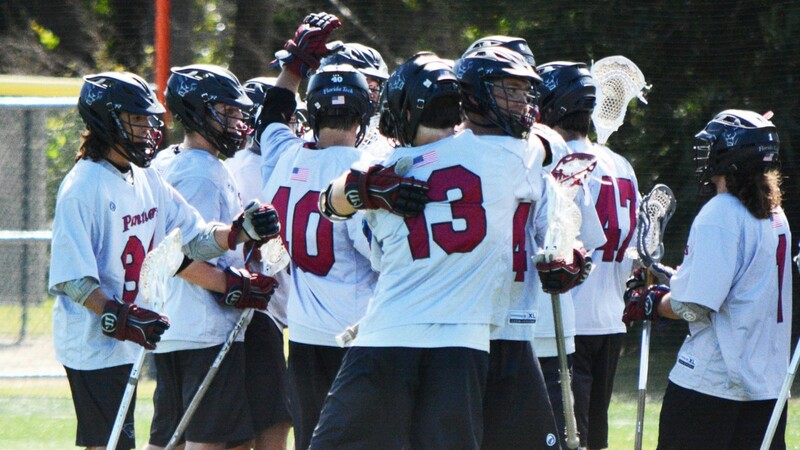 MELBOURNE, Fla. – Florida Tech men’s lacrosse has announced the Panthers’ slate of games for the 2018 season. The Crimson and Gray have 14 games on their schedule, including six games at the F.W. Olin Sports Complex and one game at Florida Tech Panther Stadium. The Panthers went 5-2 at home last season, including a 4-2 mark at Olin. Since the inaugural season in 2012, FIT is 21-22 (.488) all-time in home games. Florida Tech will face off against seven opponents featured in the final 2017 Division II Rankings, including three NCAA tournament teams in Lenoir-Rhyne (No. 7), Tampa (No.8) and Wingate (No.9). FIT will kick off the campaign against Wingate on the road on Feb. 9. The Bulldogs defeated the Panthers, 11-8, last season in a neutral site game in Savannah, Georgia. That game will be live streamed on ESPN3. Florida Tech opens its home slate on Feb. 18 versus Young Harris at Panther Stadium before hosting Keiser on Feb. 24 at the Olin Sports Complex. The Panthers then travel to North Carolina for matchups against a pair of South Atlantic Conference teams in Lenoir-Rhyne on Mar. 2 and Catawba on Mar. 4. Ten days later, FIT returns to Savannah for a neutral site showdown with another SAC opponent in Mars Hill on Mar. 14. Florida Tech opens its Sunshine State Conference schedule hosting defending league champion, and national semifinalist, Tampa on Mar. 21. The Panthers then host Mount Olive in their final non-conference game on Mar. 24. FIT will travel to Winter Park for its first SSC road game against Rollins on Mar. 31 before hosting Lynn the following week on Apr. 4. The Panthers square off with conference newcomers Palm Beach Atlantic and Embry-Riddle in consecutive games on Apr. 7 and 11. The contest with ERAU is a home game. FIT then finishes up its road slate on Apr. 14 at Florida Southern before welcoming Saint Leo to the Olin Sports Complex on Apr. 21 for the Panthers’ Senior Day and regular season finale. The 2018 SSC Tournament is set for Apr. 27-29 and will be hosted by the team with the best in-conference record at the end of the regular season. Led by head coach Ryan McAleavey, who is 37-47 in his six seasons at Florida Tech, the Panthers finished the 2017 season with an 8-7 record and its second SSC Championship appearance in the three seasons. To access 2018 men’s lacrosse schedule, CLICK HERE. PrevFlorida Well Represented on Final Team USA Roster for World Championships! NextDelray Lacrosse & Leadership Helps With Annual Heroes & Helpers Event!